It’s a common answer when we ask the orphans the age-old question, “What do you want to be when you grow up?” Each year the answers change and range from teachers to evangelists to engineers. But for brothers Abreham and Ebsa, their answer is solid: they want to be doctors, and for good reason. Doctors help people. Doctors provide hope. Doctors have a way out of crippling poverty. And these two siblings know what it feels like to need and receive help. Now 17 and 18 and both in Grade 11, it’s not hard to see the determination etched on their young, but serious faces. The oldest of Petros Network’s orphans are nearing adulthood and although still young, our staff saw them transition from adolescents to young men this past year. Abreham had one request of our staff: Could we find a way to help him purchase study books for the national exams. Practical and thoughtful, this young man is laser focused on his goal. If ever there was symbol of Redemptive Lift in action, it is the lives of these two siblings. With 4 other siblings at home, Abreham and Ebsa know the crippling sting of poverty. It’s affected their development, their family life and their health. Their father passed away and their mother is HIV+, making life unimaginably difficult. Despite all these hurdles, Abreham and Ebsa are top students in their grade, which is no easy task! Because of a life-saving sponsorship, these two brothers have not only survived but thrived and are making the most of their chance at a future. A year ago, Petros Network physician Dr Jeff Turk, noted that Ebsa was developing symptoms of vitiligo, an autoimmune disorder which causes patches of skin to lose pigmentation. The discoloration on his face and hands is pronounced and there is no medical cure for this disorder. While it doesn’t affect his overall health, Ebsa feels ashamed of his appearance and his self-esteem has plummeted. He expressed that he has been ridiculed and bullied because of it. This young man, who has faced so very many obstacles in his short life, was in need of encouragement. After his medical exam, Dr Jeff prayed with the brothers and specifically encouraged Ebsa that his dreams were obtainable. It was a Holy Spirit moment, watching two young men with so much potential, be encouraged by the very person they hope to be one day. Our Petros Network staff fully expects that Abreham and Ebsa will obtain their dreams of becoming doctors one day. Because someone halfway around the world answered the call for sponsorship, they have the opportunity to fulfill their dreams, change their family’s story and become the men God designed them to be. JANNA COCHRAN works as a EI/ECSE Specialist with Willamette ESD since 2003. She is married to Gregg Cochran and has two children, Carter and Hadley. 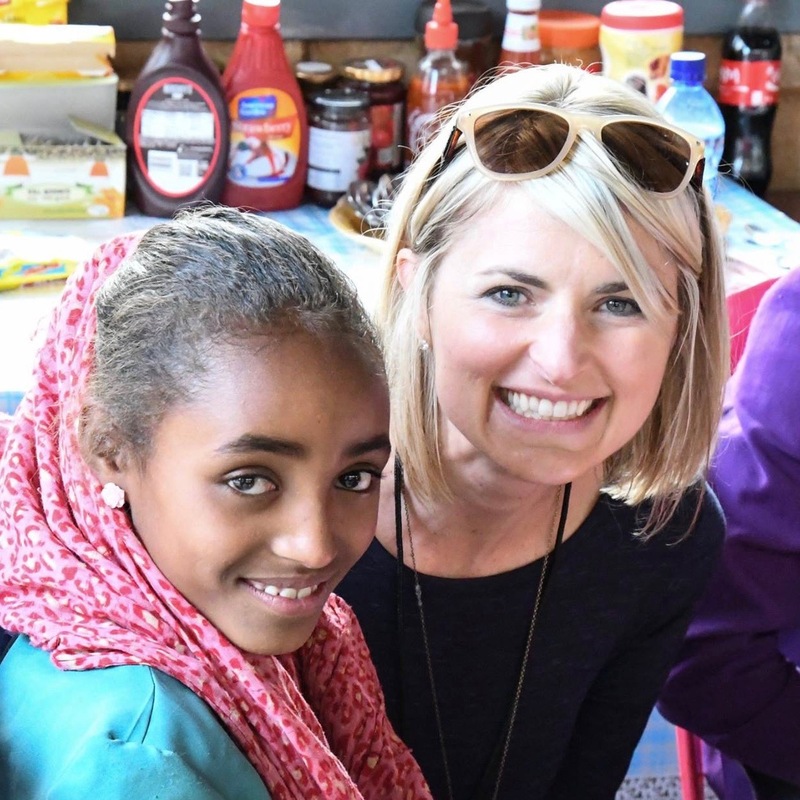 She makes regular visits to Ethiopia and serves as Petros Network’s Field Specialist with Women and Special Needs Children.